There are many jiu-jitsu academies with top level black belt instructors all over Brazil, the USA and many other countries where jiu-jitsu is practiced throughout the world. Yet Gracie Barra continues to grow and spread jiu-jitsu and improve people’s lives perhaps more than any other single jiu-jitsu organization. 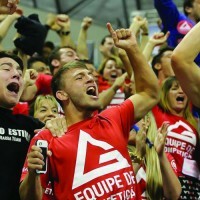 Why is Gracie Barra the leading team spread throughout the globe with 500+ schools? The first place we can look is the vision of Master Carlos Gracie Jr. to one day have a Gracie Barra academy in every city in the world. The greater vision of how jiu-jitsu can serve to improve people’s lives comes originally from the philosophy of Master Carlos Gracie and has been expanded by Carlos Gracie Jr. through the GB network. Team work where many experienced instructors unite under the Gracie Barra flag to teach under the Gracie Barra method. create the spirit and culture inside each individual academy. 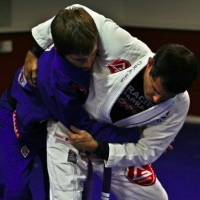 What are the key values of the Gracie Barra philosophy? Brotherhood – We fight for each other, not with each other. Our team works together in all aspects, from supporting each other as athletes to supporting each other as school owners and instructors. When our students attend competitions as representatives of Gracie Barra, they should feel that they are a part of the brotherhood of our organization. 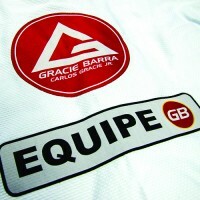 Expansion – Gracie Barra began decades ago by Master Carlos Gracie Jr. with a vision for Jiu-Jitsu for Everyone. In order to make this happen, Gracie Barra continually expands and grows, all while upholding the core values and beliefs of the organization with the utmost respect. It is our consistent goal to make Jiu-Jitsu available for everyone around the world. We firmly believe that through Jiu-Jitsu we can make our communities stronger and give opportunities to people who might otherwise not have them. Integrity – Through our expanding organization we approach all our goals with integrity. You can see this integrity in how our students are taught, how we exemplify sportsmanship, how we present ourselves in our community, and how we support our teachers throughout the organization. Our legacy is built on a network of generations, and we are always striving to make the next generation even better. We are keeping our legacy alive. 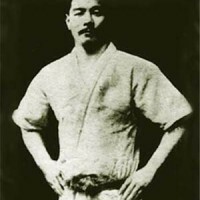 Master Carlos Gracie Jr., the founder of Gracie Barra, knew years ago how important the establishment of these values would be to the success of the organization. For years as a young man he saw that within his own family of successful fighters, when they remained together as a close family they were stronger, and when they started to move away from each other they lost some of those benefits you can only get from working together as a team. 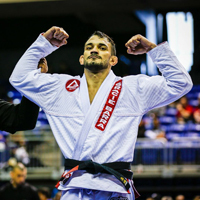 When Master Carlos Gracie Jr. decided to start Gracie Barra, he knew that strength comes from unity. He wanted to build something on a foundation of teamwork, for a united team is stronger than anything one member of the group could do individually. Place value on the efforts and abilities of everyone in your school. 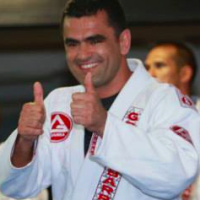 Set positive examples of sportsmanship and adherence to the methods of Gracie Barra. Use the Gracie Barra curriculum. Support other Gracie Barra athletes, instructors, and schools. Put the mission and core values of Gracie Barra ahead of personal goals. 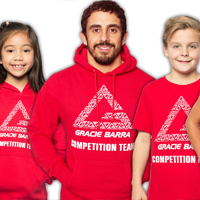 Make sure that your students represent Gracie Barra by wearing the official GB uniform during classes. Be selective about which athletes are able to participate in our seminars, making sure they exemplify the values of the organization. Multiple time NBA Champion coach Phil Jackson (who coached Michael Jordan and Kobe Bryant to championships) said that he believed we as humans were motivated by the desire to be part of something greater than ourselves. The Gracie Barra values encourage members of the Red Shield to work together and be part of something larger than any one individual instructor or student.